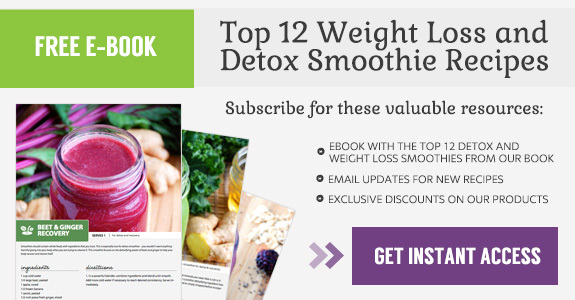 This vibrant and easy drink is a great introduction to the world of green smoothies. 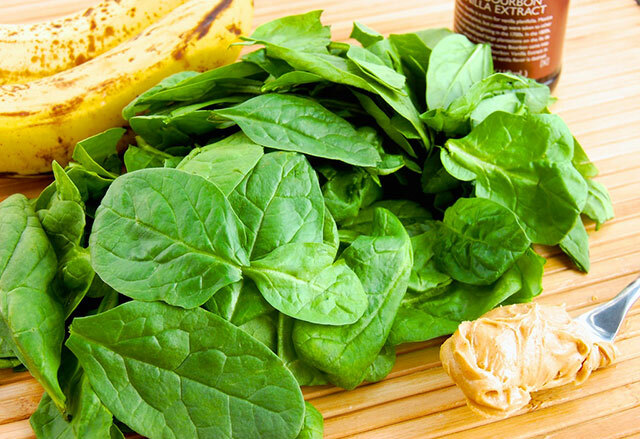 There are not many ingredients required, although you receive a lot of health benefits from the spinach. And it doesn’t taste like you are drinking straight spinach, but rather a well-balanced, refreshing smoothie. Spinach has definitely earned its reputation as a superfood. To list just some of the nutrients, it contains: potassium, iron, calcium, vitamin K, vitamin A, vitamin C, and fiber. 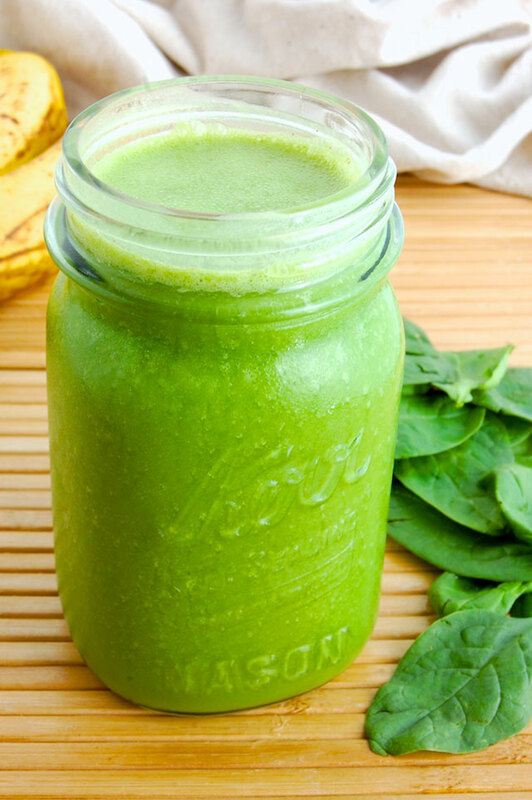 Spinach helps everything from your skin and hair down to your bones. The leafy green actually contains more potassium than a banana. Potassium aids in lowering blood pressure and regulating sodium levels in the body, as well as maintaining steady energy levels. The high amount of iron provided by spinach allows your body to use energy more efficiently. It contains almost twice as much iron as other greens. Spinach is also an excellent source of vitamin K, vitamin A, and vitamin C. Spinach is one of the best sources of vitamin K, which is essential for maintaining strong bones and proper blood clotting. Vitamins A and C help your vision and support healthy skin and hair. In addition, spinach is one of the best sources of magnesium, which maintains proper muscle and nerve function, regulates blood pressure, and strengthens the immune system. And still the list of nutritional benefits continues. There is a lower risk of developing asthma thanks to the beta-carotene in spinach. Spinach helps control blood sugar levels for diabetics with the antioxidant know as alpha-lipoic acid. Other antioxidants in spinach reduce cell damage – for example, lutein prevents cataracts and macular degeneration. This list is just a start to all of the amazing features of spinach. 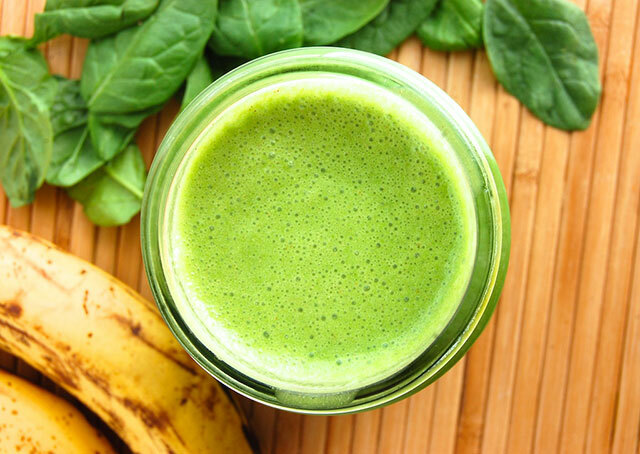 Spinach is delicate and naturally sweet, so it lends subtle flavor to this smoothie instead of overpowering it. Spinach is one of the few leafy greens that can go in any kind of blender; you don’t necessarily need a high-powered blender for this one. I almost always have spinach around because of its amazing health benefits, and now I can make an easy, tasty smoothie with it!